Tena Slip is an incontinence product for those who require or prefer an all-in-one product. 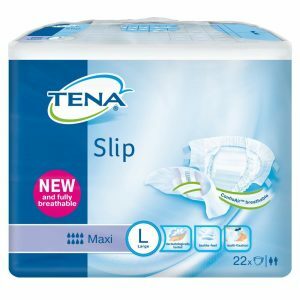 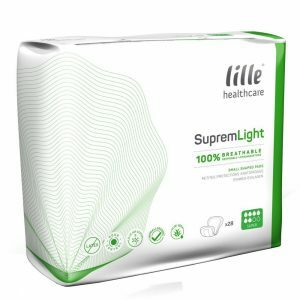 Tena Slip offers increased absorption and leakage security in three absorbency levels and sizes. 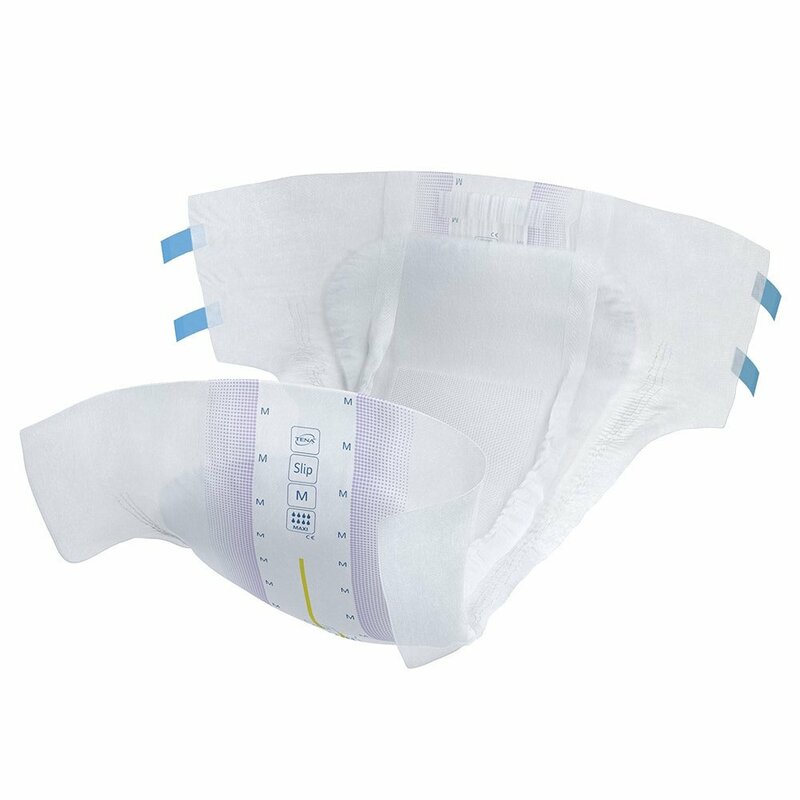 They are designed with a new breathable back-sheet and breathable non-woven sides maintain dryness for healthy skin. 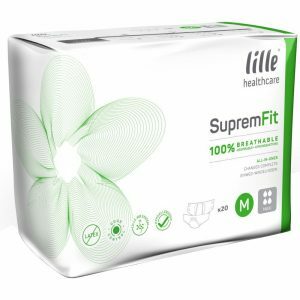 The new textile-like material feels gentle and more comfortable on the skin and the fast-acting, highly absorbent core securely protects against leakage. 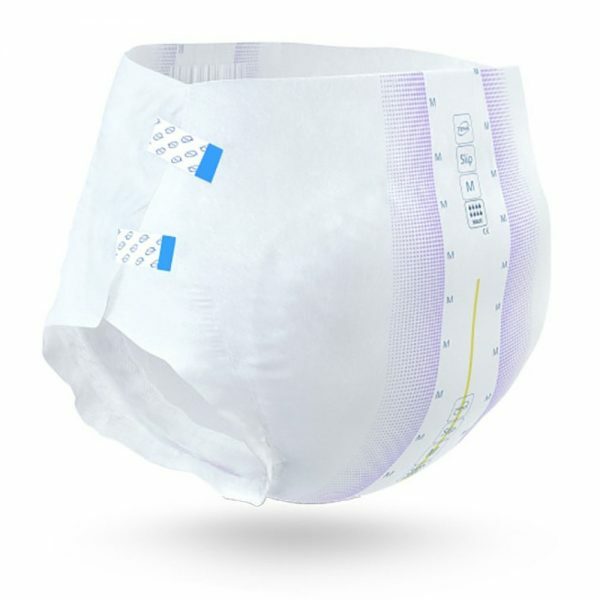 Dermatologically tested, the Tena Slip has new wide hook tapes for easy fastening and multiple adjustments.